League of Ancient Defenders (LOAD) is a two-team 2-6 player skirmish board game with stunning miniatures and intense gameplay modelled after popular battle arena online games. The vile forces of Chaos have invaded the island kingdom of Atlantis, humanity's last hope. 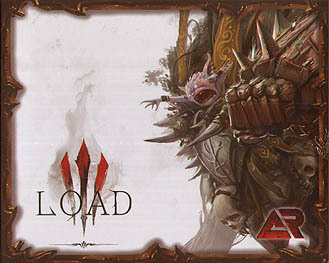 Players must leverage the unique abilities of their Heroes as they push three lanes simultaneously toward the opposing faction's base. By destroying key enemy objectives, towers, and spawn points, they will force the opposing team to abandon the battle in full retreat.